Theru Koothu, satirical, ritualised epics from Tamil Nadu. 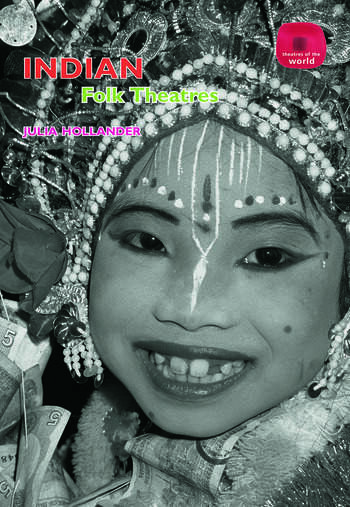 The contrasting styles and contents are depicted with a strongly practical bias, harnessing expertise from practitioners, anthropologists and theatre scholars in India. Indian Folk Theatres makes these exceptionally versatile and up-beat theatre forms accessible to students and practitioners everywhere. Julia Hollander is a British theatre director, teacher and writer. She has staged operas all over the world, including three acclaimed productions for English National Opera in London. Her study and artistic collaboration with Indian folk theatre practitioners began in the early 1990’s.